Day 156: We Are the Champions . . . So, we are not embarrassed to admit that we remember the first Super Bowl! That’s waaaaay back in 1967 when Green Bay beat Kansas City by a score of 35-10. Of course this is when there was an NFL and a AFL! In fact, Jean clearly remembers making a wager with Dad, aka Bill, on the game – even recalls documenting this day in her diary. But, there is no doubt that the Super Bowl has changed . . .
Tonight we enjoyed the company of Sara and Sylvia – after a great weekend for Jean and her sisters in Fredericksburg celebrating Dad’s 85th birthday – these two came to Casa del Vino for the night to enjoy some FOOTBALL, ribs and good wine. No doubt tonight they were able to partake on all three – sadly, their team did not win – BUT, our team did!!!!! Go Ravens! Sorry, just had to drop that in there. One could almost say these days that the Super Bowl is a bunch of commercials with a football game added in. Yes, those 30 and 60 sec gems are what we look forward to each and every year – will they make us laugh or cry. Well, this year was no exception. Our number one vote was a tie – hard to do that . . . but, yes a tie. Dodge – “Farmers” and Budweiser’s – “Clydesdale – Reunion” took the cake for us. Indeed, the some of the Doritos commercials got us to laugh and chuckle for a minute or two – but no doubt, the heart and passion in the two just mentioned took our breath away! America at it’s finest! Well Done!!!!! So, the game is over and the RAVENS (yes, they are who WE rooted for) are now the 2013 Super Bowl Champs – congratulations on a job well done ! So, appropriately so we broke out a new wine that we found at Gabriel’s – for the record, we could not find any information on this wine on the internet – – – which ironically perfectly matches our feelings about this wine – zip, zero, nada. Yep, the wine was just sorta there – not big on the nose, not big on the front palate, not big on the middle palate or finish, just overall – – – not big. We’d love to say “wow, we were knocked off our feet by this big, bold red wine” – but we weren’t. 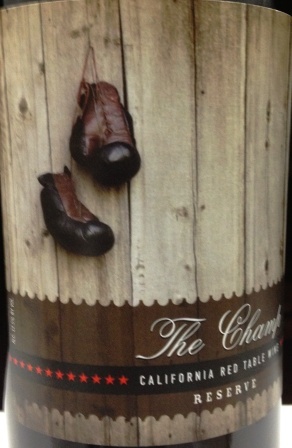 This wine was no doubt in the lightweight division and didn’t have the stamina to weigh in with the big boys. Glad we sampled, disappointed in the outcome. So, as yet another Super Bowl ends, and we celebrate an outstanding game by both teams – it was exciting to the bitter end – and will continue to watch for reruns of our favorite commercials. NFL fans, turn out the lights . . . the party’s over (ok, for the record, the whole lights’ going off thing was a bit bubble off-center, but made for some added enhancement to the game). Until next year at this same time – celebrate the victor, a tip of the hat to the loser, an acknowledgement that most of the commercials were harmless fun – a few caused us to break out the tissues and congratulations to the RAVENS! Team S/S – so glad you were here to be with us!!! See you soon – please remember to celebrate responsibly and recycle when ever possible.